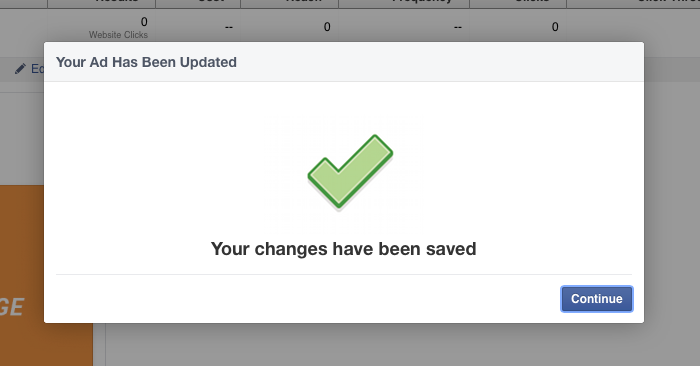 One little nuisance that has irritated Facebook advertisers for quite some time is the inability to edit Facebook ads. What many don’t realize is that yes, you can edit ads! For the past two years now, I’ve strongly suggested you only use Power Editor to create ads. It’s long had the latest features first, and it’s simply better than the ad create tool for creating and editing several ads at once. However, one area where Power Editor lags is editing ad creative. Once you create an unpublished post, for example, it can’t be edited within Power Editor. But have no fear: That typo in your ad can be edited! 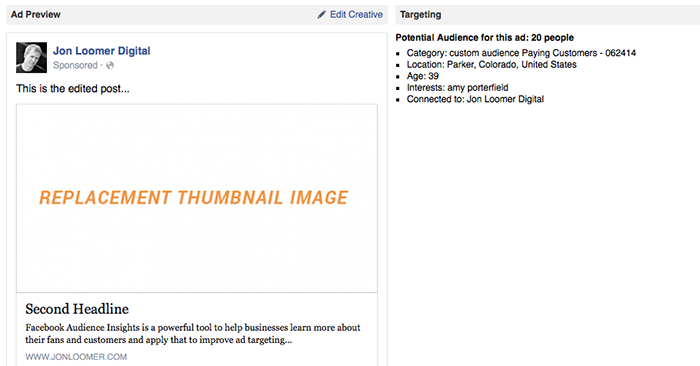 Other things like targeting, placement and bidding have always been editable. 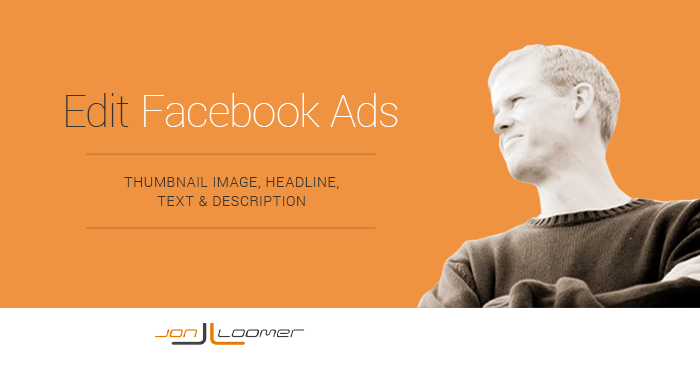 But few advertisers realize that creative can be edited within the Ads Manager. You’ve undoubtedly been there. You spent quite a bit of time creating the perfect ad with the perfect targeting, bidding and placement. But you made one small typo in the creative that you thought couldn’t be changed. So you started over. This is a good example of when you should edit your ads. Another would be because your ad isn’t passing Facebook’s 20% text rule, so you upload a new image. Regardless, I strongly encourage these changes only be made in the early stages of the ad. Avoid making major changes long after the ad has run. 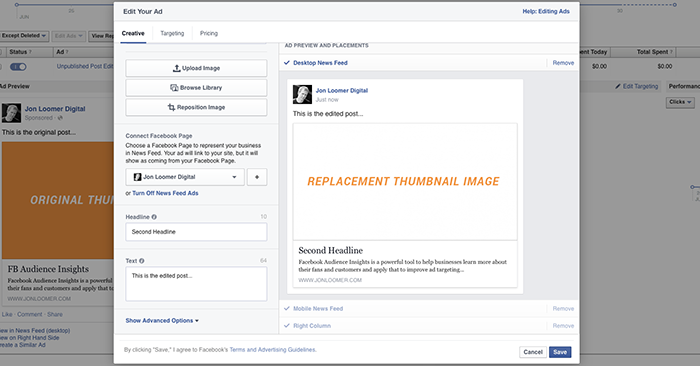 Some advertisers will use this feature to split test ads. An ad isn’t working, so they change the copy or imagery. I’d consider this a very bad idea. 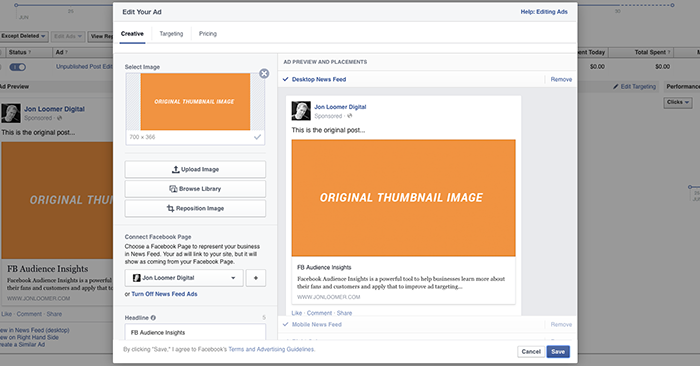 First, Facebook will distribute your ad partially based on the response it is receiving. If you completely change the copy and imagery, people are bound to react to it differently. Second, this messes up Facebook reporting. When was your change made? Was it the reason for the change in performance of the ad? If you are completely changing your imagery or messaging, I encourage you to create a separate ad. Especially if the ad has already run for a while. 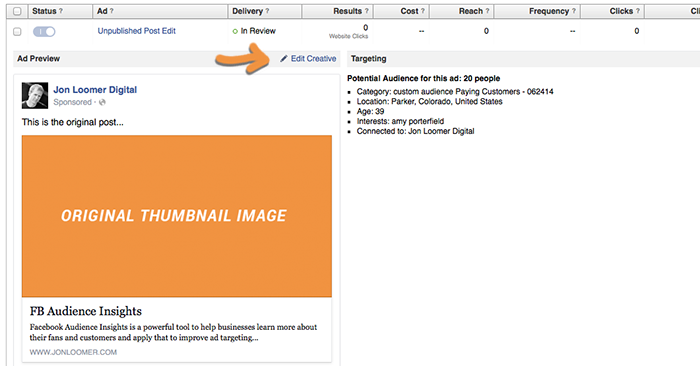 Did you know that you could edit Facebook ads in this way? How do you or will you use it?